Here at Advansys, we understand that an incredible eCommerce solution and a great website mean nothing without interested traffic arriving at your site. That is why we decided to take our experienced digital marketing team and use them as the foundation of our sister company – Promote.Agency. Promote is a vibrant member of the Advansys family and is able to bring both passion and calculated strategy to every project they work on. With a dedicated team of copywriters, analysts and advertising specialists, Promote is able to offer a diverse range of digital marketing services to companies of all sizes and from any industry. The 3 areas stated above need to work together in order to be successful. For example, if your website is visible on search engines such as Google, but your website fails to convert those visits, you have not only lost your opportunity, but also wasted the time and energy to gain those valuable visits in the first place. Advansys have a sister company called Promote Agency which is designed to help customers complete the online marketing cycle. Search Engine Optimisation (SEO) is the process of getting traffic to your website from the organic results pages on search engines such as Google, Yahoo and Bing. Being at the top of search engine results pages is vital for any online business. Over 1.7 billion people worldwide use the internet, the vast majority of which use major search engines to find a product or service they are looking for. In this fast moving age if your website is not listed on the first page of a search engine, you will be missing out on a huge amount of traffic and therefore a loss in sales. At Promote Agency we work with companies of all shapes and sizes, including global business campaigns in 25 different languages. We have a team of specialists who are passionate about getting our customers page one rankings. With over 20 years experience in providing effective website optimisation, Promote have a proven track record in achieving SEO results. Pay Per Click (PPC) is a type of paid advertising used on search engines such as Google whereby an advertiser is charged when a user clicks on their advert and is directed to the advertisers website. Pay Per Click advertising means that you only pay when people actually click on your advert. However, as the cost for each click can vary, without the right knowledge the cost Per Click can soar. PPC Management from Promote allows you to get more from PPC by refining the campaign to reduce the cost of each click, whilst increasing the volume of conversions. 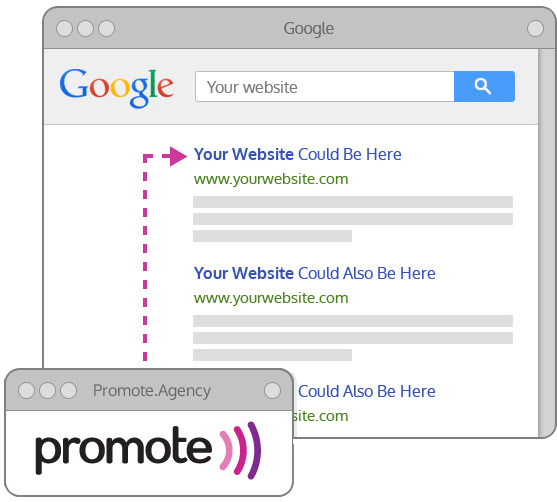 With a fully optimised campaign from Promote your website will be able to generate a high volume of relevant traffic with low cost conversions. Using in depth knowledge of AdWords and an understanding of the inner workings of Quality Score we can ensure that you get the best possible return on investment by increasing click through rates for your site. Conversion Rate Optimisation (CRO) is a service designed to increase the volume of sales and/or enquiries from your website without gaining any additional visits. CRO is the process of increasing goal fulfilment by understanding why users aren't currently converting, and making necessary improvements. Using best practice techniques, behaviour analysis, and a mix of intelligent tools such as heat mapping and A/B split testing, Promote develop actionable strategies aimed at increasing your online conversion rate. This provides the best way to evaluate your websites buying cycle to look for any weaknesses or other reasons which might be putting people off from converting. Once you have an in-depth analysis of your websites conversion rates you can make targeted changes which improve the user experience and increase sales. Promote provide the tools needed to run and manage intelligent email marketing campaigns to acquire new business as well as engage and retain existing customers. Successful email campaigns start with a visually exciting newsletter design, a compelling offer or call to action and intelligent tracking. Promote provide exactly this to ensure you get maximum return on what is a very low-cost investment. Our email platform includes email tracking and analytics allowing you to gain intelligent insights into the effectiveness of your email campaign. The platform tracks who received your email, who didn't and why, who opened it, who clicked on the links within, at what time, and what was clicked on. Knowing your customer interests and needs enables you to target them effectively with more relevant information, resulting in more conversions and more business. Increase brand awareness, communicate with customers and attract new business through Social Media platforms such as Facebook, Twitter, Google+ and LinkedIn. Social media has become a platform which is easily accessible by everyone, which makes it an essential tool for a business to interact with its customers and increase website traffic. Facebook alone has over 757 million users who log on daily. One study discovered that businesses that use social media to sell products or services outperform those who don't use social media by 78%. Social media optimisation is designed to help your company reach out to new business by encouraging 'word of mouth' marketing through social shares whilst growing your potential audience. It's an opportunity to interact with your customers, and be seen as the go-to expert for their future business needs. 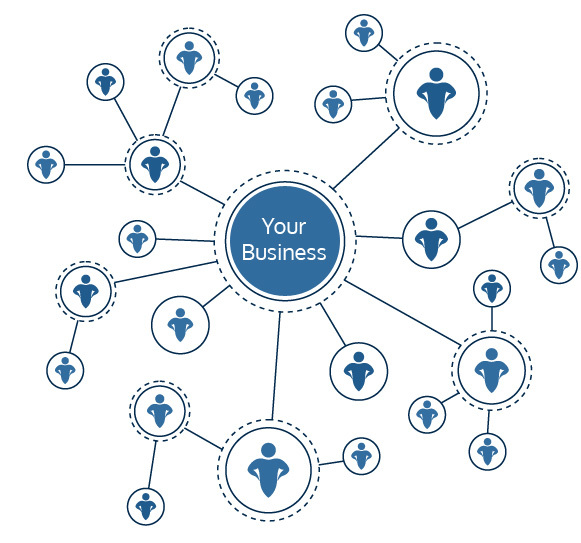 Through continued buzz monitoring we are also able to monitor and manage your social reputation. Good marketers never stop learning. That's why we have created an extensive range of online marketing training courses to help your business achieve its goals. 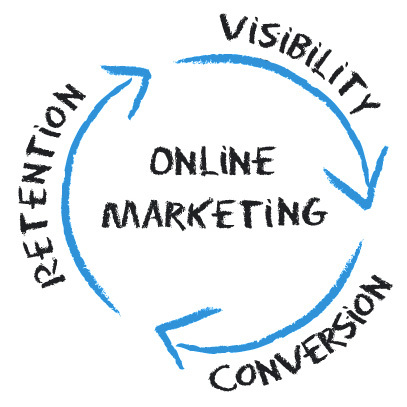 We have everything you need for the complete beginner, right through to the seasoned marketing professional, to help you complete the online marketing cycle for continued online success. Our courses are taught by practising professionals, who are online marketing specialists day to day, meaning the courses are frequently updated to include the very latest industry innovations, techniques and tools available. We believe in a personal approach, so we limit each training session to a maximum of 5 people. Training courses are held at our main office located in Wokingham (near Reading).